OWN YOUR OWN PIECE OF PARADISE ON ISLE OF WIGHT IN MIDWAY!! 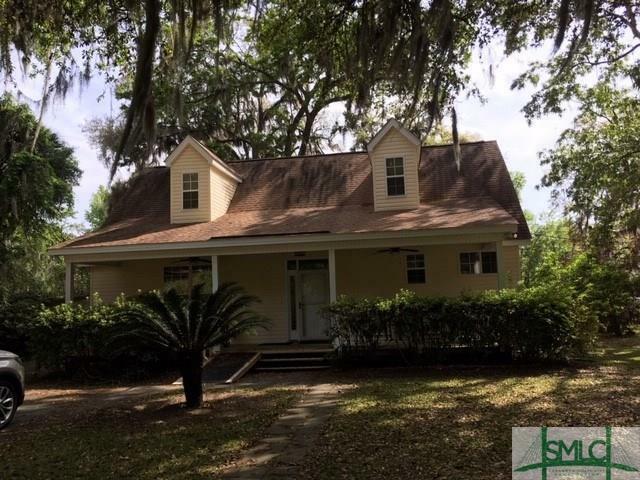 Very well maintained 3Br/2Ba home on a tidal canal. Open floor plan with a gas fireplace and a beautiful Antique mantle. Master suite on main with French doors leading out to large porch, access from dining room too. Plumbed for a half bath on main. Lots of closets and storage space. Climate-controlled dock house to enjoy your coffee in the morning and with friends in the evening overlooking the canal. Bi-level dock for fishing,swimming and crabbing with room for 2 boats, a jet ski. Explore the waterways, marshes and islands of Coastal Georgia from your backyard! Just minutes from I-95 and a quick commute to Savannah, Pooler, Fort Stewart and the Golden Isles! Great neighborhood with a boat launch nearby! Excellent elevation, no flood zone! Won't last long!! Listing courtesy of Genevieve Stocks of Islands Real Estate Company. © 2019 Savannah Multi-List Corporation. All rights reserved.